The roof of your home is a very important portion. Ignoring roof problems is a dangerous thing and can prove hazardous at the least. The safety of you and your family depends on whether the roof is in good condition. Any problems with the roof should be inspected and fixed as soon as possible. You can wait a few weeks before giving your garage door a paint job because it is not very essential to do so. But waiting for a few weeks to fix your roof is dangerous. The thing with roofs is that people find it easy to ignore them. They are not something we look at all the time and are therefore easy not to notice. It is only when a major problem occurs that people notice it. However, it is important to remember that not fixing roofing problems can be cause for accidents and a lower quality of life. The best thing to do would be to conduct a roofing inspection. Conduction of a roofing inspection is something that you can do yourself. A roofing inspection will ensure that the small problems are detected faster, and therefore steps can be taken immediately to fix them. If you are not someone who is very comfortable climbing a ladder to get a look at the roof, inspecting the attic is a good idea. The attic will give you an idea of whether there something is wrong with your roofing system. For example, damaged wood, any previous leaks or problems with the ventilation are things to look out for. Stains or rusted nails on the nails that fix the roof are also negative things that will indicate problems with the ventilation. However, the thing to understand here is that though as a homeowner you can for a roof inspection on your own, it is always a good idea to get a professional. The reason for this is because only a professional can understand the roofing system. Though you can detect minor symptoms of roof trouble, it is impossible that you have the professional’s eye. Getting a roofing contractor who is a professional to inspect your roof from time to time is a great idea. This will ensure that smaller problems are detected before they can accumulate and cause huge debacles which will need a major roof repair operation costing hundreds of dollars. A Home Inspection can only be done by a professional company that specializes in Inspections and one who will provide you a thorough report of each and every aspect of the house. You will surely want to know if there is any hidden damage to the structure, any electrical problems, plumbing defects, roof leakages, etc. 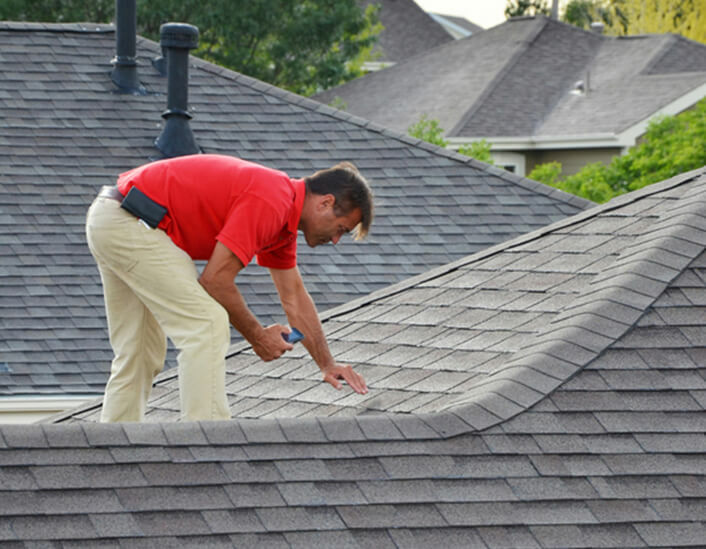 Beneficial Roofing is one such company that you can count on to give you an accurate picture of the condition of the property through their qualified Roof Inspector.